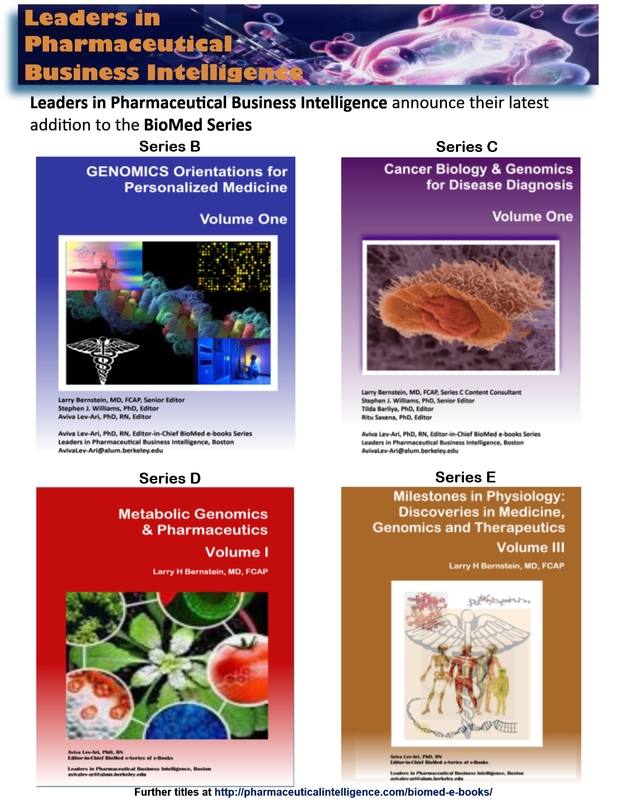 Sixteen Volumes represent the research FRONTIER in Life Sciences and in five specialties in Medicine. Each volume is written by Experts, Authors, Writers. The results of Original Research gain value added for the e-Reader by the Methodology of Curation which adds expert commentary, synthesis and guidance. 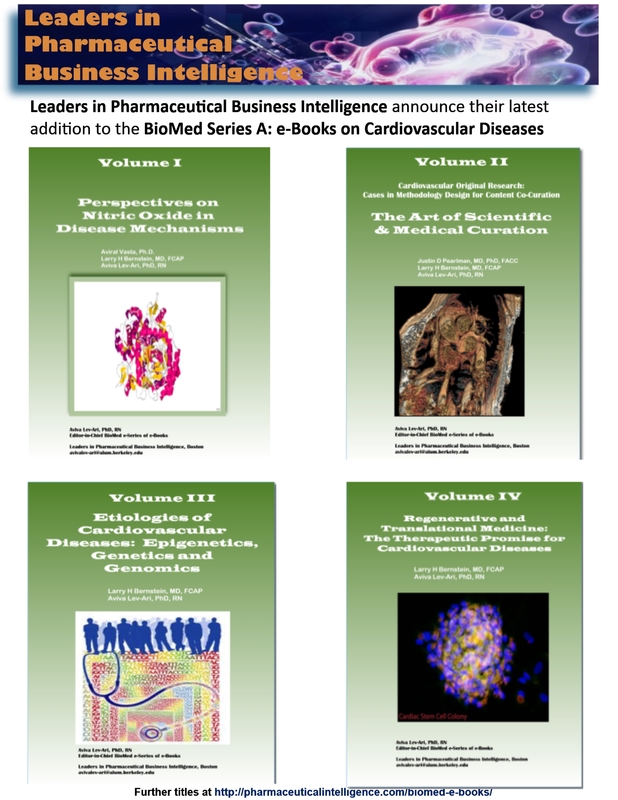 The e-Book’s articles have been published on the Open Access Online Scientific Journal, since April 2012. All new articles on this subject, will continue to be incorporated, as published with periodical updates. This Open Access Online Scientific Journal is a scientific, medical and business, multi-expert authoring environment for curation of scientific findings and information syndication in several domains of Life Sciences, Medicine, Pharmaceutical and Healthcare Industries, BioMedicine, Medical Technologies & Devices. Scientific critical interpretations and original articles are written by PhDs, MDs, MD/PhDs, PharmDs, Technical MBAs as Experts, Authors, Writers (EAWs) on an Equity Sharing basis. In 2018, LPBI’s BioMed e-Series was part of the nomination submission of Aviva Lev-Ari, PhD, RN as Nominee for contributions to Medical Education Development for 2018 Yidan Foundation Prize. The Keck Futures Initiative – a program of the National Academies of Sciences, Engineering, and Medicine, with the support of the W.M. Keck Foundation – will award four $20,000 prizes in 2016 to individuals or teams (up to four individuals associated with the creation of the work being nominated) who have developed creative, original works that address issues and advances in science, engineering and/or medicine for the general public. Nominations are accepted in four categories: Book; Film/Radio/TV; Magazine/Newspaper; and Online. The winners will be honored in the Fall 2016 and are expected to attend in person.